The Fabian Women’s Network was launched in 2005. The Fabian Society is a British socialist organisation whose purpose is to advance the principles of socialism via gradualist and reformist means. Founded in 1884 by Beatrice and Sidney Webb, George Bernard Shaw and H.G. Wells, it is Britain’s oldest political think tank, and has since then been at the forefront of developing political ideas and public policy on the left. The Society laid many of the foundations of the Labour Party and subsequently affected the policies of states emerging from the decolonisation of the British Empire, most notably India and Singapore. It favoured gradual change rather than revolutionary change, and was named in honour of the Roman general Fabius Maximus – nicknamed “Cunctator”, meaning “the Delayer”. His strategy advocated tactics of harassment and attrition rather than head-on battles against the Carthaginian army under the renowned general Hannibal. It aims to promote greater equality of power, wealth and opportunity; the value of collective action and public service; an accountable, tolerant and active democracy; citizenship, liberty and human rights; sustainable development and multilateral international cooperation. Environment and Citizenship, which asks how we build public support for action on sustainability. The society was one of the original founders of the Labour Party and is constitutionally affiliated to the party as a Socialist Society. It is however editorially, organisationally and financially independent of the Labour Party and works with a wide range of partners of all political persuasions and none. And all the female members of the Fabian Society are also members of the Fabian Women’s Network, which was launched in 2005. 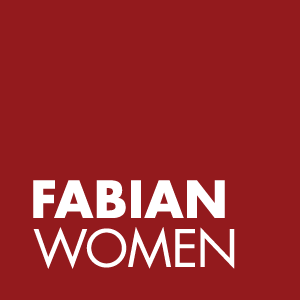 The Fabian Women’s Network aims to bring people together to create a thriving network for social and political change; to connect Fabian networks with Fabian Women Parliamentarians; and to provide new ways in which women from all backgrounds and sectors can engage in topical policy debates. Its president is Seema Malhotra MP, a British Labour Party and Co-operative politician, and it has its own elected chair and executive committee which organises conferences and events and works with the wider political movement to secure increased representation for women in politics and public life. It has a flagship mentoring programme that recruits on an annual basis and Fabiana, the Fabian Women’s Network magazine, which was launched in 2011. There are currently approximately 2000 women – of all ages and backgrounds – in the Fabian Women’s Network. The Network has held a number of high profile receptions and policy discussions and regularly works with voluntary sector organisations on campaigns that affect women’s lives, including women and finance, work/life balance and family related policy. Speakers at previous events have included Cabinet Ministers, Ministers, representatives from leading charities or agencies, business, academics and media. And this week the Network is celebrating its tenth anniversary. To find out more about the Fabian Women’s Network click here.